We’ve said it before and we’ll say it again - budget smartphones have gotten really, really good over the past couple of years. 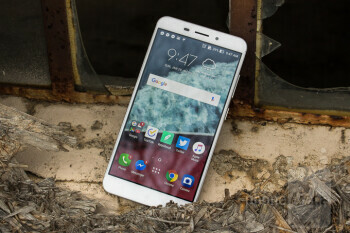 2016 in particular was a rather stellar year for affordable handsets that were worth buying, with some of the most notable ones including the likes of the Moto G4 series, OnePlus 3 and 3T, Alcatel Idol 4, Honor 8, and more. 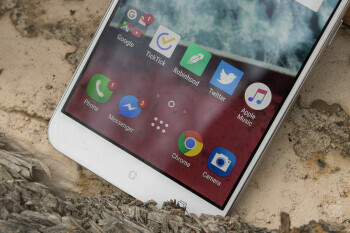 Now more than ever before, it’s very possible to spend around $400 or less to get a _phone_ that strongly resembles the experience of a device that costs double that price tag. This is great for consumers looking to get a great user experience without spending a lot cash, but it also means that manufacturers who are creating these affordable handsets need to differentiate themselves as much as possible in order to stick out from this extremely crowded market. 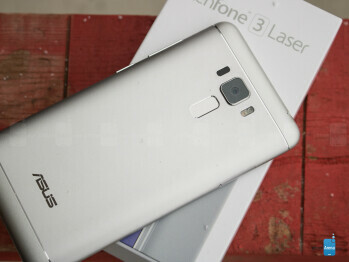 Asus came out guns blazing in 2016 with tons of different variations of the ZenFone 3 line, and one of the most affordable options goes by the name of the Asus ZenFone 3 Laser. 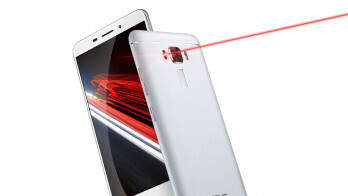 The Laser moniker hints at the phone’s laser-assisted autofocus system, and while this may be the main focus point (pun obviously intended) for the phone’s title, there’s a lot more going on with this handset than a snappy autofocus setup. The ZenFone 3 Laser is a smartphone that Asus is selling for under $200, putting it in direct competition with the likes of the Moto G4. Is Asus’s option worth considering over the Moto? The Asus ZenFone 3 Laser is a big step up in build quality when compared to the ZenFone 2, as the former ditches the latter’s all-plastic construction for an aluminum one. This switch in materials is a very welcome one, as the aluminum that’s used here feels very premium and solid in the hand. The back is smooth and cool to the touch, and the fingerprint sensor that lives beneath the petite camera hump allows for quick and easy access to unlocking the phone. Asus’s ZenFone 3 Laser measures in at just 7.9-millimeters thin and features a weight of 150-grams, allowing it to be very slim and lightweight. 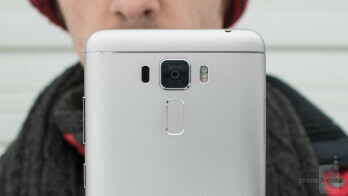 Additionally, the rounded corners of the handset allows it to feel nice and comfortable when held. As great as it is to have an aluminum build as opposed to last year’s plastic, there’s no doubt that the overall look of the Laser is quite bland. We’ve seen a ton of aluminum builds in both the budget and premium landscape lately, and because of this, the ZenFone 3 Laser fades into the background with an aesthetic that’s attractive, yet undeniably underwhelming. In regards to the display, Asus decided to use a 5.5-inch IPS LCD panel with a resolution of 1920 x 1080 Full HD. There’s nothing all that remarkable about the display, but there’s also nothing to really complain about. Text is crisp, colors look bright, and viewing angles are quite good as well. This isn’t a display that’s going to blow your socks off, but it’s fully functional and capable, and for a phone in this price bracket, that’s all you can really ask for. Now more than ever before, it’s very possible to spend around $400 or less to get a phone that strongly resembles the experience of a device that costs double that price tag. This is great for consumers looking to get a great user experience without spending a lot cash, but it also means that manufacturers who are creating these affordable handsets need to differentiate themselves as much as possible in order to stick out from this extremely crowded market. Android 6.0.1 Marshmallow is running on the ZenFone 3 Laser out of the box, and just like all of Asus’s other Android-powered handsets, it’s running the company’s custom software skin over stock Android. Asus has done a lot to clean up its Android skin over the years, and the changes that have been made are certainly for the better compared to what was running on the ZenFone 2 when it first launched. However, even with this being the case, the overall look is still a bit cartoonish and unpleasing to my eye. Bad looks aside, Asus did add some rather useful tweaks here and there. 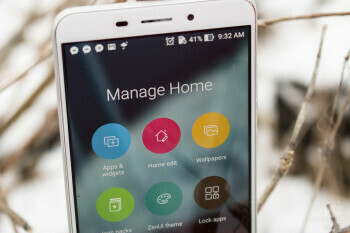 The built-in launcher is extremely customizable, there's a fairly robust theme engine to play around with, and there are tons of screen gestures to make use of if your heart so desires. Under the hood of the ZenFone 3 Laser is a Snapdragon 430 processor and 2GB of RAM. The 430 chipset being used here is of the octa-core nature and is clocked at 1.4GHz. This is a processor that’s made explicitly for lower to mid-range smartphones, and that is very evident in the performance of the Laser. Most general tasks function just fine, meaning that web browsing, social media use, and even playing games such as Asphalt 8: Airborne all run quite well on the phone. However, because of the lower RAM amount that’s present here, apps are quick to close and reload when you try to do a bit of multitasking. This sort of mid-tier performance is to be expected with a phone that’s selling for $199, and while the power here is plenty capable for light to moderate use, don’t expect to be able to run tons of apps at once and still have a fluid experience. On the connectivity side of things, the Asus ZenFone 3 Laser can be used on both AT&T and T-Mobile’s LTE network for calls/texts and data. I personally used the handset on Cricket Wireless (an MVNO of AT&T), and not once did I run into any issues. Dual-SIM support is present if you’d like to make use of two separate lines, and if you only have one number that you rely on, you can choose to have one SIM and one microSD card in the phone instead to expand the included 32GB of storage. Along with this, you’ve also got support for Wi-Fi 802.11 b/g/n, hotspot functionality, and Bluetooth 4.2. One downside here has to do with the fact that the ZenFone 3 Laser is still using microUSB 2.0 for charging and syncing. I would have loved to see USB Type-C instead to make the device a bit more future-proof, but this is a rather common omission for a phone of this price point right now. The camera department with affordable smartphones is usually the one that takes the biggest blow as a result of a lower price, and while the camera package that’s present on the ZenFone 3 Laser isn’t astonishing by any means, it’s a nice little setup that should get the job done for most folks. Asus didn’t adopt the dual-camera trend with the ZenFone 3 Laser, and instead opted for a single 13MP sensor of the back along with an 8MP front-facing one. Along with its respectable megapixel count, the primary camera on the ZenFone 3 Laser is accompanied by a (you guessed it) laser-assisted autofocus system. This is something that we usually don’t see on smartphones in this price bracket, and the snappy focus times that this addition allows for is greatly appreciated. Images as a whole look fine and are perfectly suitable for social media use, but there are still some downsides to be aware of. Outdoor shots with ample light can end up looking quite good, but the more you bring the lights down, the bigger of a hit your photos will take. Shooting in low-light scenarios often created for a difficult time to find a focus point and images without a lot of detail. The 1080p Full HD video recording is passable as well, but the lack of image stabilization means that your footage will look bouncy and shaky more times than not. As previously mentioned, the display that’s found on the ZenFone 3 Laser is very bight and colorful - making it a joy to play games and watch videos on. Unfortunately, the multimedia experience as a whole is drastically hampered by the lackluster speaker performance. The biggest downside easily has to do with the low volume output. Even when cranked up at max volume, I often found it difficult to hear the ZenFone 3 Laser while doing dishes or in the shower. And, consequently, cranking up your tunes also creates for drastic audio distortion. On the upside, Asus still kept the 3.5-millimeter headphone jack in place, so you won’t be faced with any issues if you want to plug in your favorite pair of wired headphones. For those rare occasions where you still find yourself sending and receiving phone calls, the Asus ZenFone 3 Laser does a fine job at delivering solid audio quality on both ends of your conversations. I never once ran into any call quality issues, and the rounded edges of the phone allow it to be quite comfortable to hold while communicating with friends, family members, and colleagues. To cut right to the chase, battery life on the ZenFone 3 Laser is downright impressive. My average use with the phone consisted of actively checking emails from two accounts, browsing numerous social media apps, streaming 1080p Full HD video on YouTube, and listening to music through a pair of Bluetooth headphones. With this sort of use, the ZenFone 3 Laser cranked out around 1 and 1/2 days of rock solid battery life. I turned the Laser on at around 8:00 AM, and the included 3,000 mAh battery didn’t drain completely until about 2:45 PM the following day. Additionally, I was able to squeeze out a surprising screen-on-time of 5 hours and 13 minutes. The one downside with the ZenFone 3 Laser’s battery has to do with its recharge times, as it took the phone a whopping 3 hours and 25 minuets to go from 0 to 100% with the included battery charger. This proved to be a pain for sure, but the extended endurance of the battery helps to even everything out. To wrap all of this up, where does that leave us with the Asus ZenFone 3 Laser? As a whole, Asus did a commendable job at packing in a lot of smartphone into something that costs less than 1/3 of today’s premium flagships, at just $200. The design of the Laser might be a bit commonplace, but the nice materials being used for the phone’s construction do a great job at mimicking the look and feel of a much more expensive product. Along with the solid build, the Laser also delivers a great-looking screen, fairly snappy processor, a fast autofocus system, and satisfying battery life. The phone falls a bit flat due to its weaker software skin, low quality speaker, and slow recharge times, but those issues aside, the ZenFone 3 Laser has quite a lot to offer. 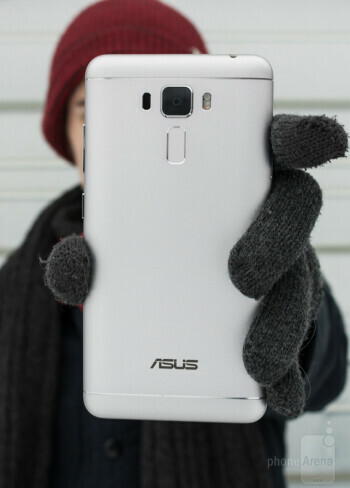 You can make the argument all day long that you could spend an additional $30, $50, or even $100 for a slightly better smartphone all around, but when it comes down to it, the Asus ZenFone 3 Laser is one of the best ways you can spend $199 on a brand new smartphone. 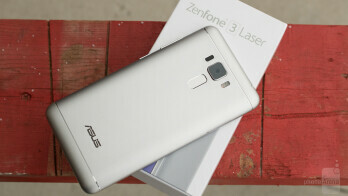 It may have been overlooked by a lot of people when it was initially released back in October of last year, and if you’re someone who missed out on it and are currently looking to spend no more than $200 on your next handset, do yourself a favor and check out what the ZenFone 3 Laser has to offer. Our guess is that you won’t be disappointed.